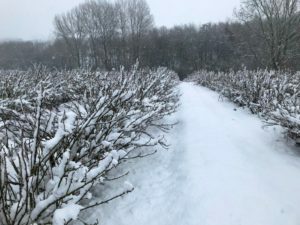 Winter time – dormancy time for blackcurrants. But not for the IBA! It is appropriate for me to write this Christmas message to the international blackcurrant family. We currently experience the unusual December UK phenomenon of snow and a good winter chill on our blackcurrant crops! With the considerable help and support of our IBA General Manager, Stefanie Sharma, we have achieved our objectives for 2017. She has created a database of a 1000 interested industry contacts, updated the IBA website, and promoted blackcurrants in smoothies (recipes available here). We now look forward to the 6th International Blackcurrant Conference in Angers, France. This bi-annual conference in Angers, France, from 6-9th June 2018 will be our focus for 2018. The emphasis will be on the development of new markets and products. We will therefore have blackcurrant product competitions, and we will talk about the promotion of the ‘best berry for life’. In addition, the increase in industry cooperation and contracts with processors must be a top priority for a sustainable international industry. Please ensure you save the dates in your diaries. You can sign up to attend as soon as the organizers release details of the conference. We had a successful IBA executive meeting at our farm in Herefordshire, UK, in spring. In summer, thanks to the tremendous support of IBA Vice President Piotr Baryla, we then had a very successful and informative visit to Poland. Our findings have been reported in the IBA newsletter. 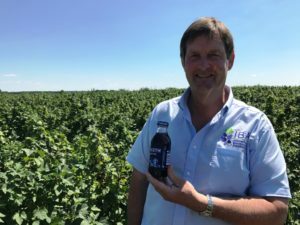 They will be the basis for many of the conference 2018 presentations, as the Polish production is considerably influential on our world blackcurrant industry. Our thanks go also to Stefanie Sharma, IBA Vice President Jens Holme Pederson, and Dr Dorota Jarret. All contributed to the comprehensive Polish visit. 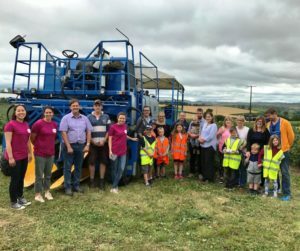 Within the UK British Blackcurrant Association, during the harvest, ourselves together with other growers hosted farm visits promoting blackcurrants in association with Ribena. Initiatives such as these are extremely valuable. Therefore, the IBA encourages all country crop associations to promote in a similar way. More than opening our farms to the public, such events allow us to talk to our customers about the health benefits of blackcurrants. May I wish everyone a very Happy Christmas! For our friends in New Zealand a successful harvest. And for all of us increased markets for the ‘Best Berry For Life’. Thank you all for your ongoing support!